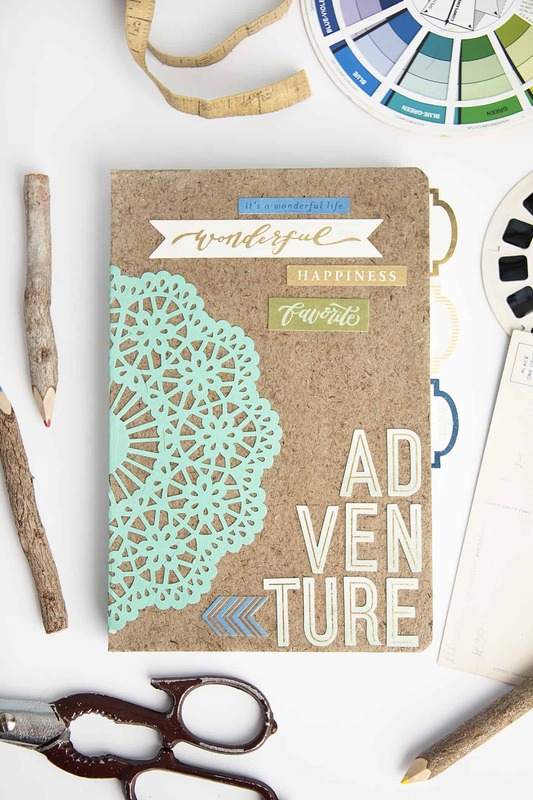 This adventure themed DIY notebook is the perfect gift idea for everyone from hostesses to teachers to kids! So simple to personalize. Hello, friends! Are you also working like crazy on Christmas gifts? Every year I give my kids a new sketchbook or notebook to write in, and this year I thought it would be fun to make it myself! I love the idea of each of my kids having their own personalized DIY notebook for the year. 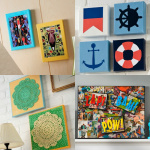 They can use it to draw, write down ideas and thoughts, or just color when they need something to do. My kids have such different personalities, I love the idea of creating something unique just for them. And encouraging them to write and draw is just another added bonus! 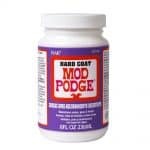 If you aren't familiar with Mod Podge Hard Coat sealer, it hands down one of my favorite Mod Podge products. My kids are . 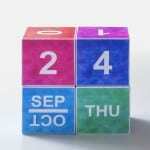 . . well kids! The are rough on just about every surface in our house. It's important to me that if I am going to put a lot of time into this project, that I create something that will last. 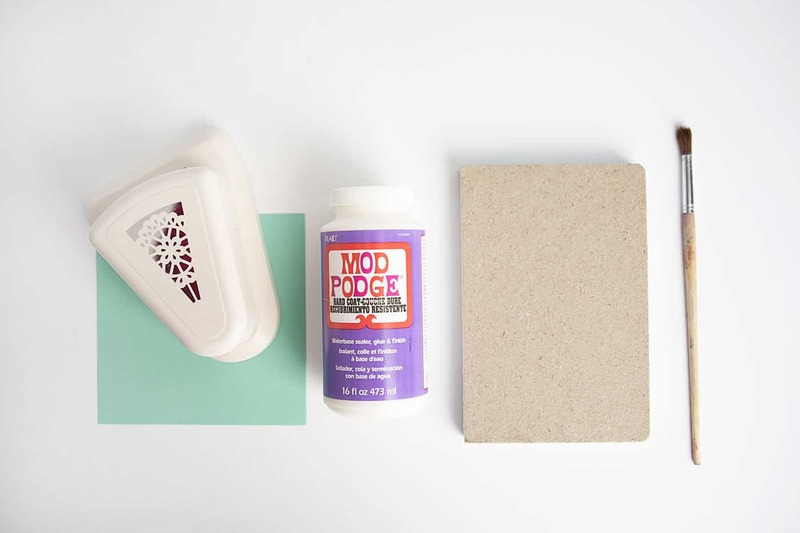 The Mod Podge Hard Coat is the perfect solution. It works as a sealer, glue, and durable finish. It's just the thing to keep my handmade books safe. To make my book, I started with a few supplies. A doily punch, embellishments, paint brush, and a blank sketchbook. 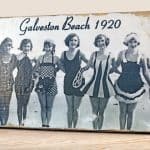 You probably have most of these things lying around the house! 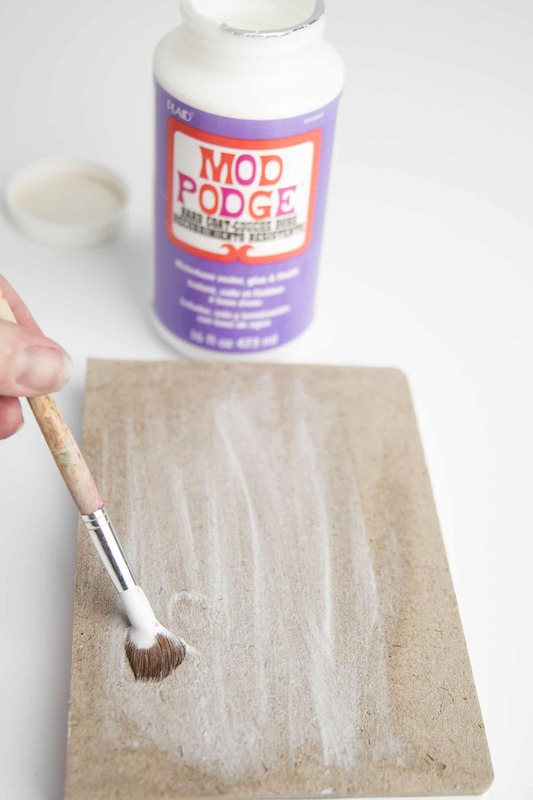 To get started, first coat your book in a thin layer of Mod Podge Hard Coat. 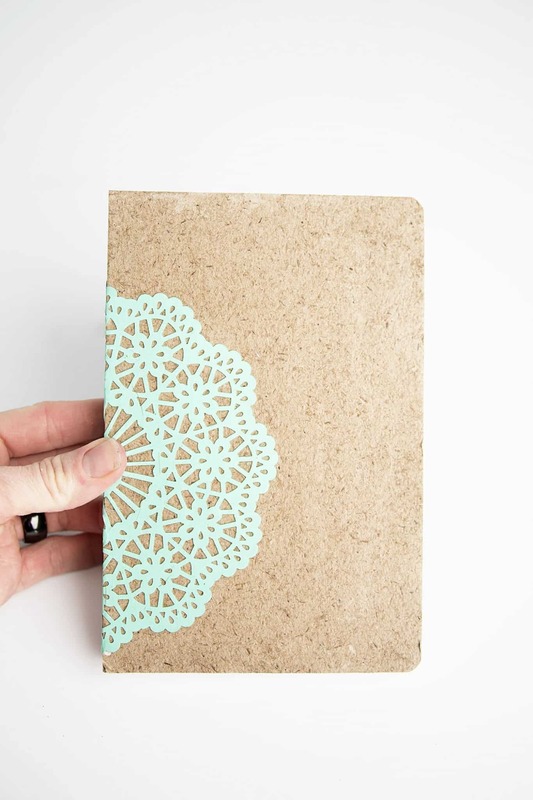 Next, punch out a paper doily, or use one that you have on hand. 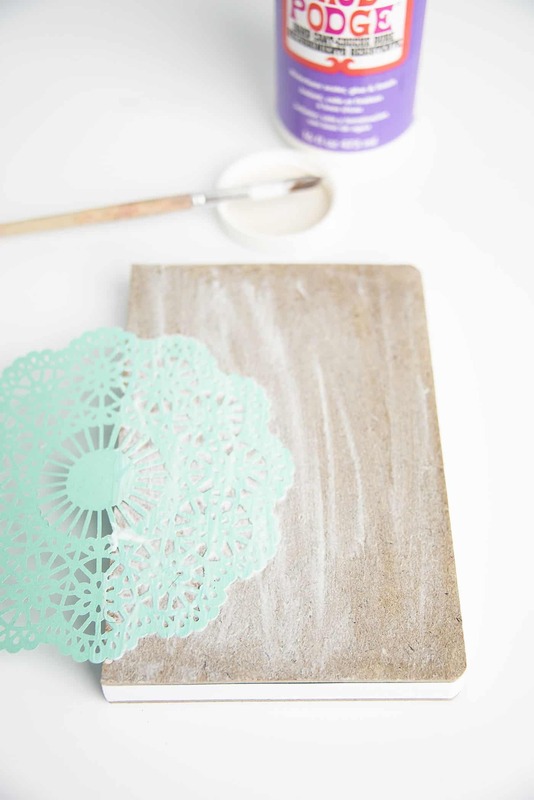 Apply a think coat of Mod Podge Hard Coat to the back of the doily, and adhere it to you book. I love how it looks wrapped around the book! After wrapping it around, apply another thin coat to the top. 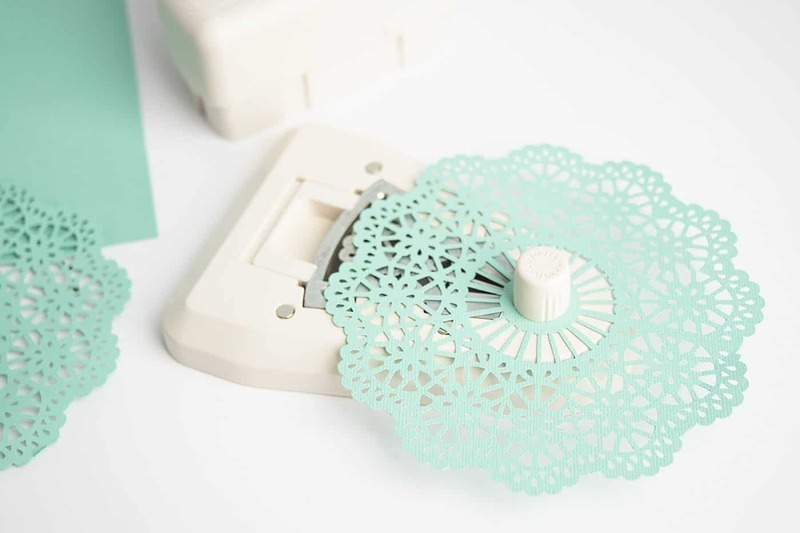 This sealer is so perfect for intricate cut shapes, like this doily. 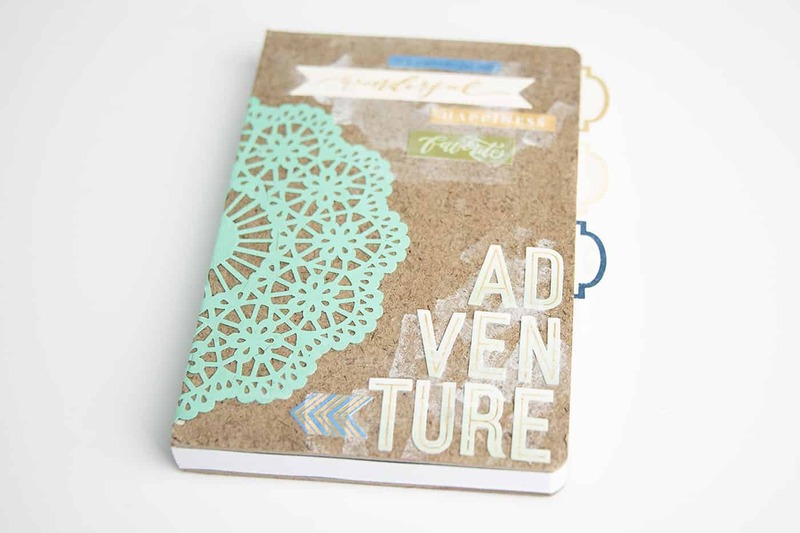 This book will never hold up without the Mod Podge Hard Coat! 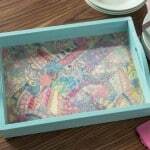 After letting your book dry, add additional embellishments to your book following the same method. 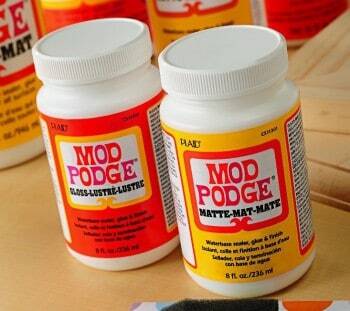 Keep your coat of Mod Podge thin and even if you can. When done, check your book for any areas that are lifting up. Some embellishments can need more adhesive than others. Feel free to give it one last coat on top for good measure! That's it! 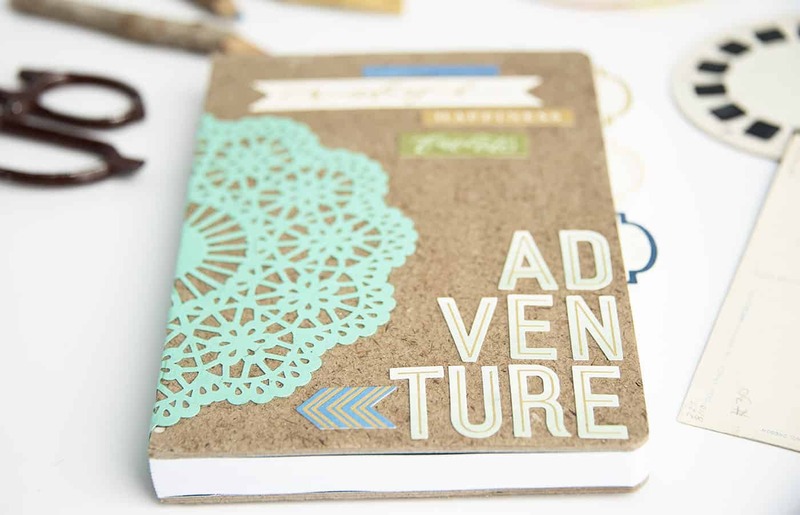 This DIY notebook gift idea is so easy! My oldest is going to LOVE it. She loves to draw, and she is such an adventurer. This is so pretty.. Love it 🙂 I enjoyed decorating my diary & planner with mod podge & podgeable paper! This is fantastic idea! I made a travel journals for my daughters and they fell apart at the end of the trip. I do need this Hard Coat! Thanks for the inspiration!